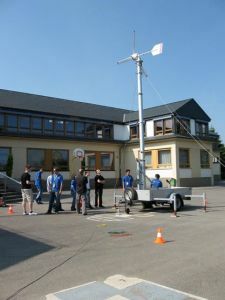 Windmobile@school arose from the idea of introducing the instruments created as part of the project to a wider audience. In 2008, this idea was translated into reality and put into practice for the first time in the context of a project day at Heiderscheid primary school. A learning station was set up around the bicycle generator, allowing children and pupils to experience first-hand how difficult it is to produce electrical energy. 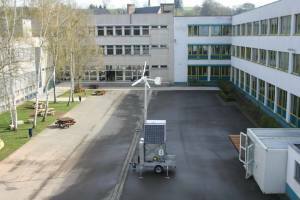 The mobile wind turbine serves to illustrate aspects of wind and solar energy. This learning station is also equipped with a weather station to explain concepts such as wind direction or wind speed. 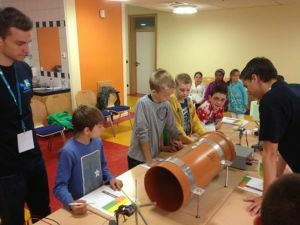 The third learning station consists of a miniature wind tunnel as well as a range of recreated realistic wind turbines. The purpose of this station is to display their different structural types and resulting characteristics in relation to start-up speed and energy production. 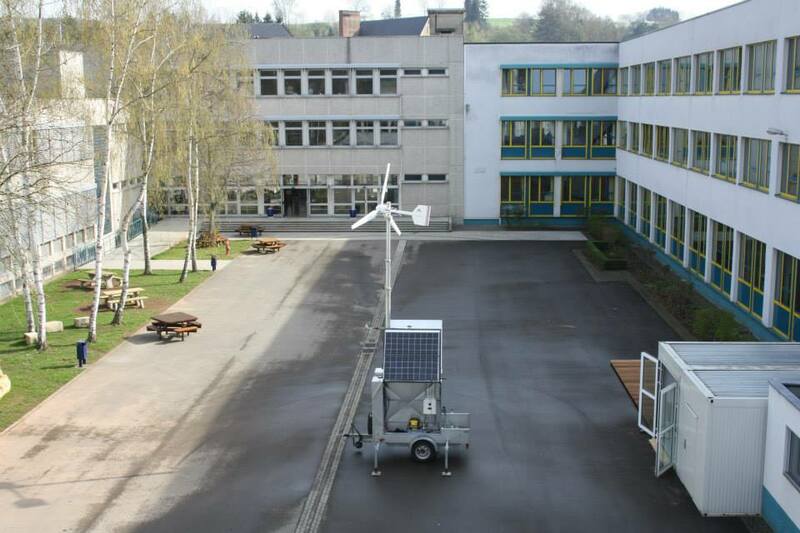 An additional station serves to illustrate in a simple manner how wind is created. With the help of a straightforward experiment using candles and temperature probes, children/pupils can record the air currents of varying temperature. At the end of the Windmobile@school activity, children/pupils get to make a small wind turbine out of cardboard as a memento. Since the first edition of Windmobile@school in 2008, this activity has continued to evolve and individual learning stations have been enhanced or adapted to new materials. In total, the activity has witnessed the participation of approximately 1000 children/pupils from six primary schools. Since Heiderscheid in 2008, visits have also been paid to the schools of Weiswampach, Ettelbruck, Gilsdorf, Hosingen and Troisvierges. 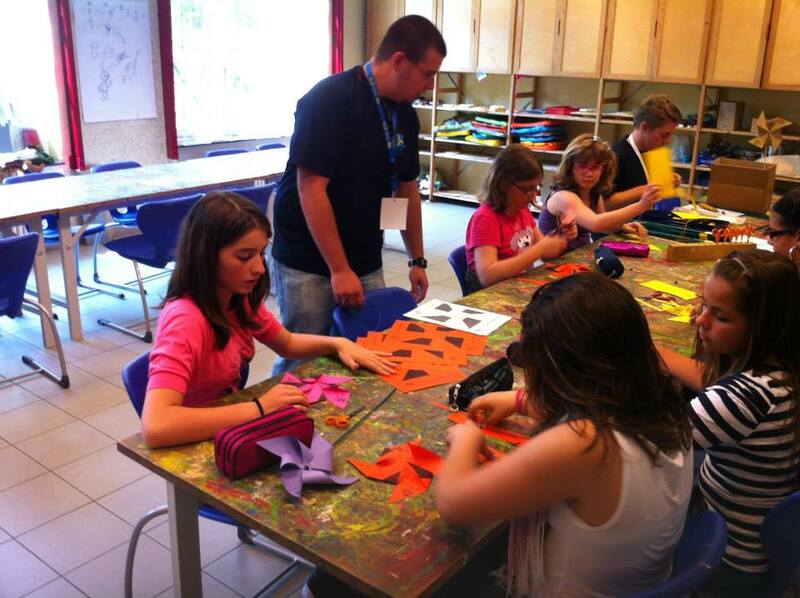 For more information regarding the individual activities of Windmobile@school, please go to www.windmobile.lu.